We are an Independent, Old-Fashioned, Fundamental, King James Bible Only, Soul-winning Baptist Church. If you are in the area we cordially invite you to our traditional services where you will hear solid Bible preaching and God-honoring, conservative music. We offer Nursery and Toddler care for all services. We also have children, youth, and family-oriented ministries. We provide transportation and friendly fellowship. Come join us this Sunday! Sunday School for All Ages: 10:30 A.M.
Sunday Morning Preaching Service: 11:30 A.M.
Spanish Service : 5:00 P.M. It is my desire to live my life to serve others, and die knowing that I've accomplished that goal. I personally invite you to visit us. Come and sing the old fashion hymns of the faith, and listen to preaching from the Word of God. In Psalms 122:1 the Bible says "I was glad when they said unto me, Let us go into the house of the Lord." 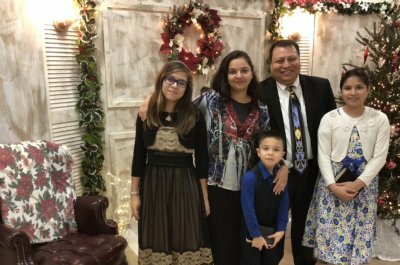 There is nothing that we need more in Miami than families bringing their children up in the nurture and admonition of the Lord (Ephesians 6:4). We have been blessed to have a growing church youth department, children's choir, and Christian academy. We have many more opportunities for you and your family to grow. It would be my honor to have you as my guest in one of our services. May God watch over you and guide you as you search His truths.